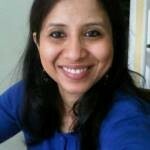 Vasudha Chhotray is a Senior Lecturer at the School of International Development, University of East Anglia, UK. Vasudha’s research interests are in political analysis of development, governance and environmental change; political settlements; donor politics; environmental and social justice; citizenship; disasters, risk, vulnerability and recovery; India; South Asia. Chhotray, V., Adhikari, A. and Bahuguna, V. (2018). ‘The political prioritisation of welfare in India: Comparing the Public Distribution System in Chhattisgarh and Jharkhand‘. ESID Working Paper No. 111. Manchester. Chhotray, V. (2014) ‘Disaster relief and the Indian state: Lessons for just citizenship’, Geoforum, 54, 217-225. Chhotray, V. (2014) ‘How an NGO works the state and why it succeeds: A case study from central India’, in S. Parasuraman and N. C. Narayanan (eds), Water Governance and Civil Society Responses in South Asia. New Delhi: Routledge. Chhotray, V. (2011). The Anti-Politics Machine in India: State, Decentralisation and Participatory Watershed Development. London, New York, New Delhi: Anthem Press. See Vasudha’s staff profile at the University of East Anglia.